W Circuit: National parks are such places where you get to see a lot of exotic vegetation and wonderful creatures. Tours are usually held throughout the world to showcase this natural heritages defining the true magic of nature. 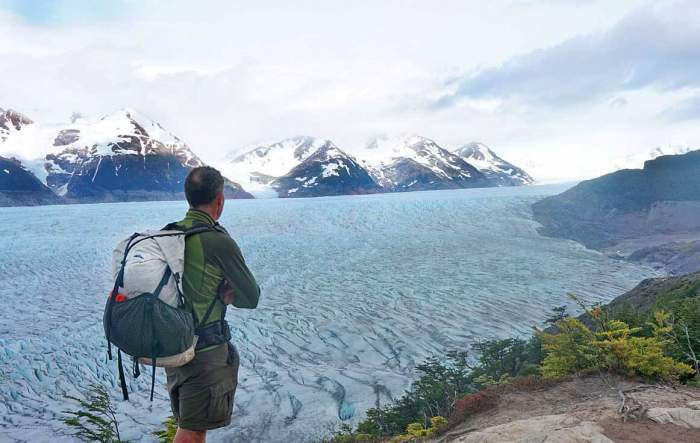 Located in the region of Patagonia in Chile, Torres del Pen National Park is one of the best national parks you will ever explore in your life. From the glaciers to towering mountains in the park and from grasslands that are full of animals along with picturesque views. There are many hiking trails in the park, to show off its beauty and to provide an adventure for the tourists. The W circuit is considered to be the best of them. Wondering why? Well, here’s a very small Pocket Guide that will help you learn about it so that next time you are in Chile, make sure you go to the famous W circuit! The W circuit lies in the Torres Dale Pen National Park and the design of the route is the main reason behind the name. 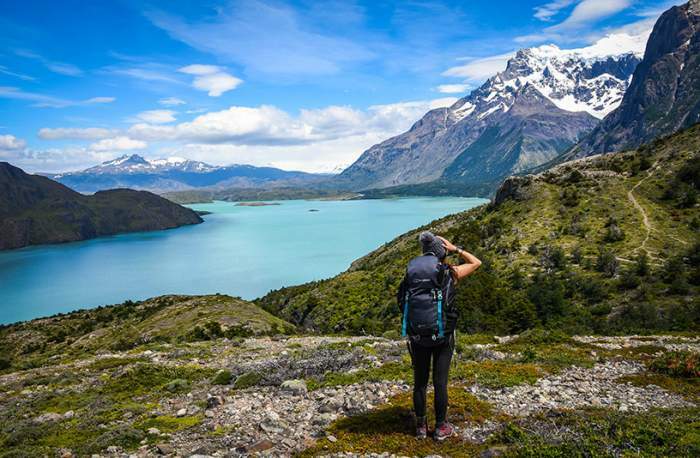 Long Trek takes you through the Cuernos del Paine, Francés Valley, and the Grey Glacier. These panoramic places are extremely pleasurable and photogenic for every person who visits them. The trek lasts more than 100 KM, so people need to gather a great amount of energy before going on this tour. People usually start in Puerto Natales and then head towards Paine Grande so that they can go out for trekking to Glacier Gray. After that, they will mostly set for other trails that they may cover. This includes a trip to the magnificent Paso, Mirador Frances, Campamento Chileno, all of which are great places. 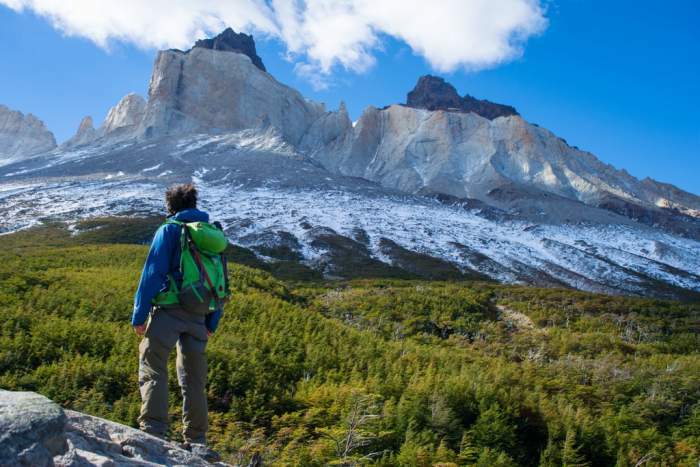 Once the hike is over, people go back to Puerto Natales. The hike looks like possible for anyone who has prior experience of hiking. But they do need to remember that they will have to spend a lot of their day on hiking in search of the W Circuit. Companies of tourism also organize tours where they provide a basic travel program for tourists. People can also book them if they require a guided tour of the circuit. When you are going to be part of a hike or trek, you have to find out or wait for the right season. The same thing goes with the W circuit as you can not find it throughout the year. Being a part of Torres del Paine National Park, the best time you may visit it is during the summer season. It lasts from December to March. This is the time when the sun shines at its very best and the days are long enough. You can actually enjoy activities like hiking and kayaking at this time of year. If you want to see flowers blossoming, then you may visit the place during Spring. The winter season is such a time that everyone should avoid as the weather becomes harsh and the huts are closed. So, you wouldn’t really feel the best experience if you face such bad conditions. Take the help of internet to read more about the park and also to see the W Circuit Map. We hope that you are planning to make a full tour of the National Park because the W circuit is a part of it. So, you are already creating some plans and budgets that will include a lot of the park. If we only consider part of the W Circuit, then we will have the cost in terms of accommodation, permit, food and other requirements. Mostly the cost depends on the number of days you spend in the circuit. It’s a long one so you’ll need at least 5 to 6 days on the trek. In that very case, your expenditure may be around 140 CLP (Chilean Peso). But we can’t exactly tell about the cost because it differs from person to person. The duration of the trail is very important to keep track of the budget. But in a hilly area, you can never guess the precise duration. 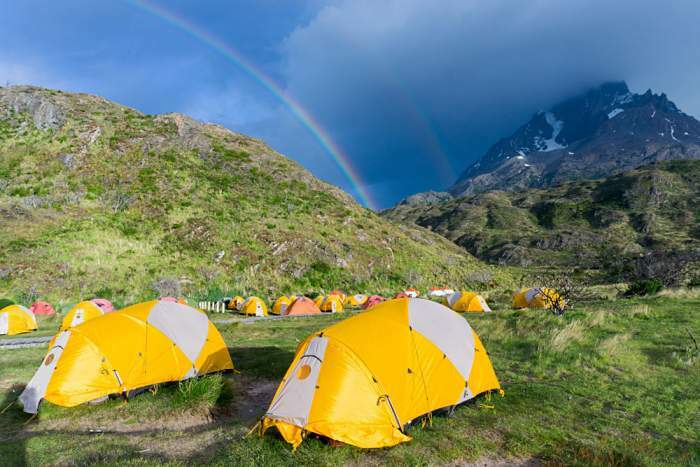 One needs to spend at least 5 days and 4 nights on the trail to find W Circuit Torres Del Paine in a good way. This will allow them with comfort to rest for hours, at the same time rest sufficiently. People may use the time to include some bonus places into their hikes. One thing to remember while deciding on the duration one needs to keep in mind the natural conditions and weather may change anytime. Therefore, do proper research and then book the accommodations. *The prices may vary depending upon the time. When you are going through a beautiful place, you will come across several places where you want to explore and spend more time at. Just like in the W Circuit, you will be amazed to see the natural beauty that is present all over the trail. It is a prestigious glacier which is important for the world. It is the third largest mass of ice present in the world. 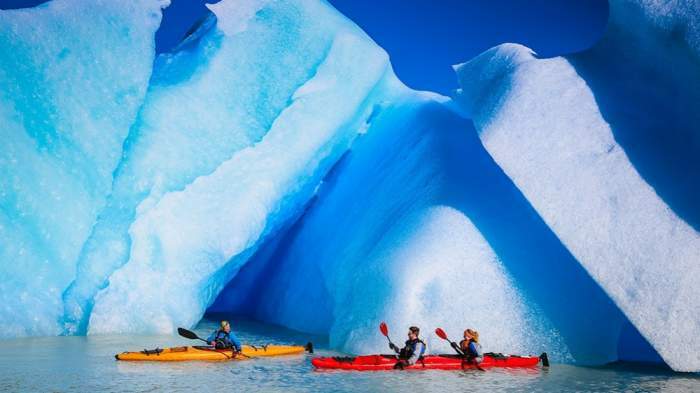 You can separately go hiking the glacier or even be a part of the kayaking tour. So, choose accordingly and enjoy this place. This valley is present in the middle stretch of the “W”. This is an alternate place to travel, but we will not advise you to leave it. This can be a little challenging due to the slipperiness of the snow but it is all worth. The valley is very beautiful. Mirador is the prime attraction at this place. When backpack and head towards a certain place, you need to prepare yourself so that you can reach on time and have everything you may need. 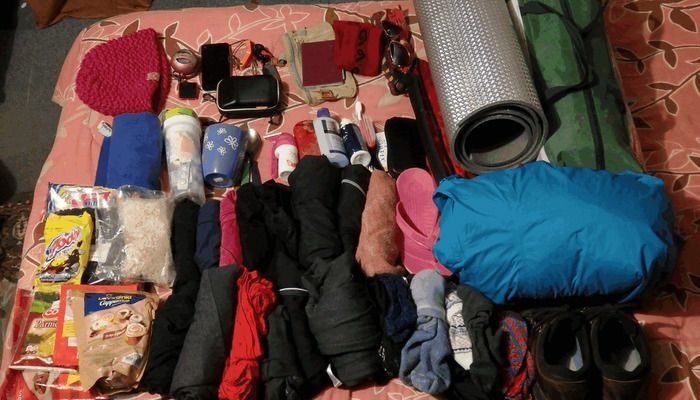 Packing well on hiking is very important. Carry a pair of durable hiking shoes along with a pair of slippers. Considerable pairs of socks that do not slip easily or retains moisture. Take clothes that make you feel comfortable. Warm clothes to keep you warm during your hike and also at night. Don’t forget to carry hats which keeps you away from the cold as well as the sun. Dry foods and water bottles. First aid kit, toiletries, and medicines that you will need. Power Bank or Portable USB charger to charge your phone. And the most important thing, take cash as the park doesn’t have ATMs. We advise you to take trekking poles with yourself as you will trek for a long time. Make sure that they are of good quality. Try not to give up on meals as they are your only source of energy. Do take them on time and eat well throughout the tour. Make sure to be safe while on the trek. In W Circuit, check for any hostel on the internet to book the accommodations in due time. Best Time To Visit: November to early March. Previous articleGo For An Ultimate Fun Trip In Costa Rica With Your Little Ones! Why Solo Trip to Cuba is Absolutely Mind-blowing?